2. I made my first pocket pen pal letter! 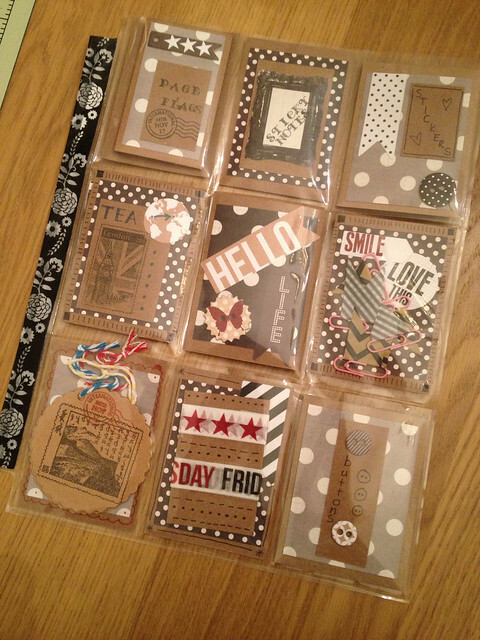 If you are into pen pals & writing, you definitely need to check these out on Pinterest! Some of them are amazing! 3. Maisy has been a little bugger in the night this week! I’ve spent many a night outside with a torch and avoiding bugs, waiting for her to go to the toilet. 5. 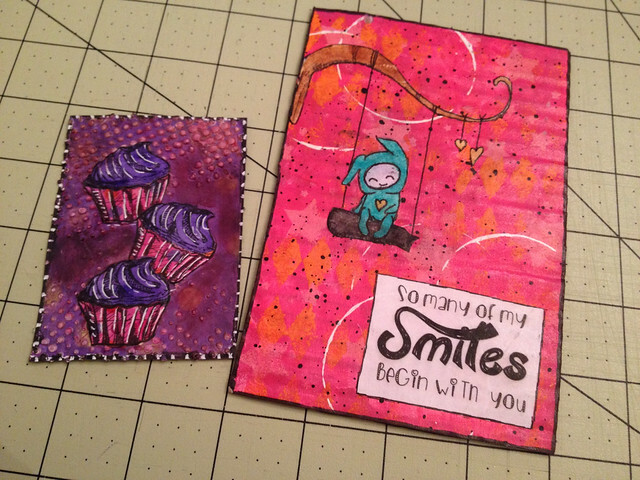 I received 2 lovely goodies from a pen pal this week – an Artist Trading Card & a postcard; both are handmade by her and have gone straight into my collection. 6. We found a new part of the beach which is dog friendly. The sand is gorgeous and it has a lovely view over Mobile Bay. We will certainly be visiting it more often as it’s only a 10 minute drive from us. Maisy approves too! 7. 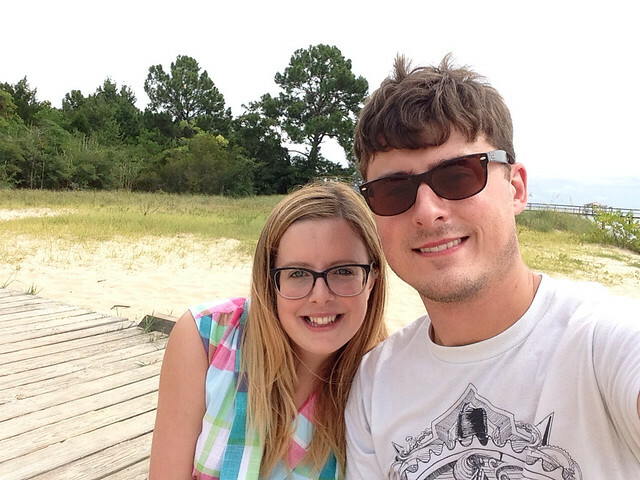 We had a beach selfie as we haven’t had a picture taken together for a while. I’m wearing my new wrap dress, which I also completed this week. This sounds like a lovely week! Those pen pal letters and trading cards look so intricate – beautiful! I love your wrap dress and am hoping to see a full post about it soon. 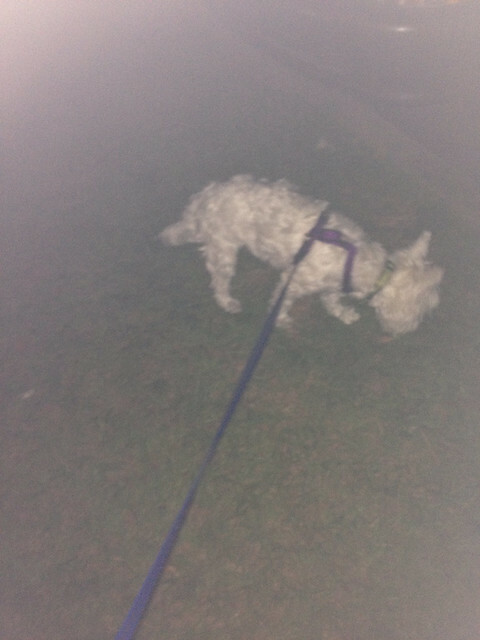 Ha, I bet Maisy loves having a night time sniff around the garden with you! Very jealous you can be at such a beautiful beach in 10 minutes, Maisy is one lucky pup. What a great week. I also need a planner just like that. 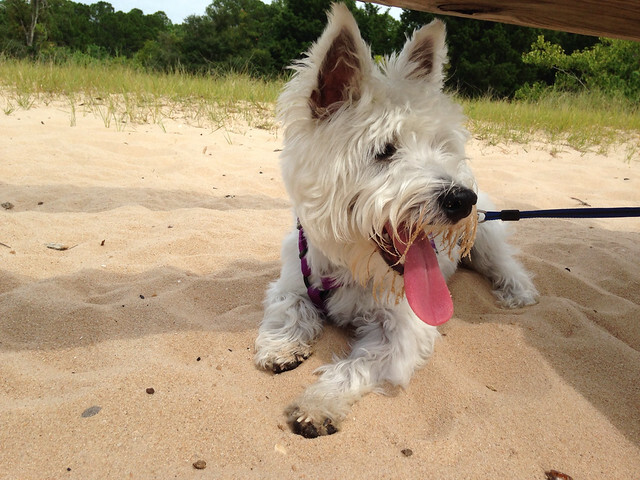 Taking your dog to the beach is a great way to unwind too. Thank you! I do love this planner as it has so many sections and the spaces are big enough to write a decent amount in 🙂 Hopefully it will keep me organised! What a lovely week, but no more bad mouthing Maisy! Haha…actually she has behaved for the last 2 nights and has slept through the night…I will take it back! What a great week! Love the planner! What a nice post! 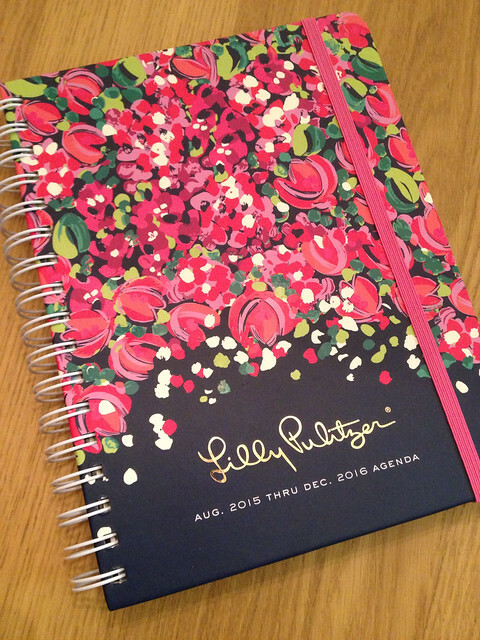 I’m a big fan of planners, and that is a lovely one, hope you make better use of it than I usually do. Such a cute couple, and of course, Miss Maisy. Thank you – yes I’m hoping I can keep the organisation up as normally I do it for a few days and then it fizzles out! We shall see! Lovely week. Hope Maisy quits her night time need to go out. That beach looks amazing! Hope you have a good week! How great to have a beach so close to you – our nearest beach is an hours drive away so we rarely go. I’m familiar with pen pal letters although don’t participate as I don’t feel I could do it justice. 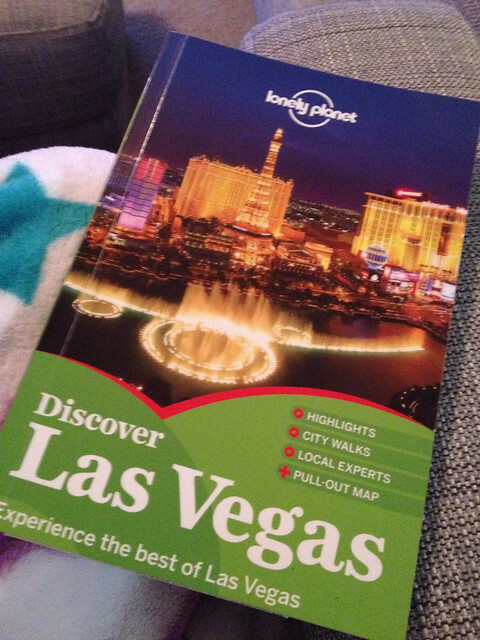 Hope the planner proves useful! I know! I can’t believe we’ve only just found it too 🙂 I love pen palling but I feel it’s one of those things that I can behind on if I don’t do my replies straight away!